Marvin Hunter was born and reared in Vicksburg, Mississippi and is a veteran comedian who travels the country telling jokes to audiences of all backgrounds. He was recently picked up to appear on Kevin Hart’s “Next Level” season 2 on Comedy Central. 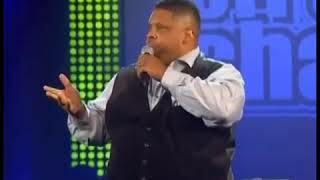 Hunter’s segment will air September 7th The Vicksburg comic has performed with top comedians across the country, including Rickey Smiley, Mike Epps, Corey Holcomb and Aries Spears. Hunter says his comedy comes from a lifelong desire "to uncover hidden foolishness regardless of where it existed." He soon became widely known for "exposing any and all forms of absurdities related to or involving family, friends and all other facets of life." Hunter served in the U.S. Navy for 20 years, nine days, eight hours and "too many minutes," according to his Facebook page. He says he uncovered "foolishness" there as well, which he has been deconstructing to audiences across the country for the last 11 years.